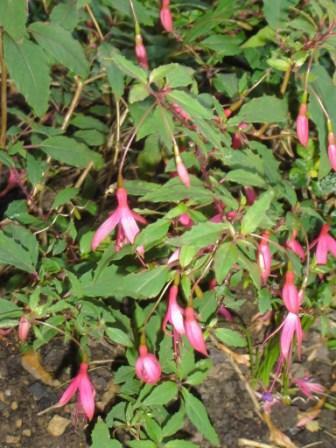 This bushy shrub fuchsia originally from South America is the hardiest of the fuchsias and is entirely at home in the potting shed bed. 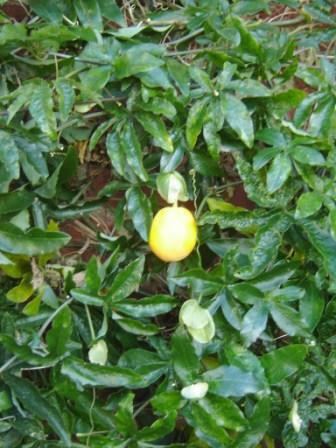 A vigorous, evergreen climber clothing the warmest wall of the potting shed bed; a few fruits are still adorn the plant even in December. In one corner of the square lawn, myrtle berries continue long into the winter. 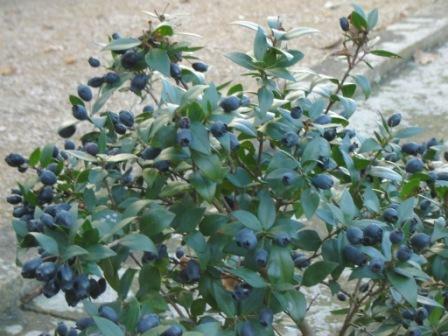 This Mediterranean evergreen shrub has leaves and blue berries which have a flavour similar to juniper and rosemary.